Networks of interconnected tubes form the basic structural element of many organs. Tubes are composed of polarized epithelia that enclose a lumen. During organogenesis, lumens form by several distinct mechanisms, ranging from wrapping of an epithelial sheet to generation of a lumen de novo within a rod of cells. Nevertheless, all tube formation processes share some basic common principles that result in the generation of a single, continuous lumen. Interactions with the surrounding environment direct epithelial cell polarization that governs physiological regulators of lumen formation including the actin cytoskeleton, adhesion, vesicular transport, and fluid secretion. 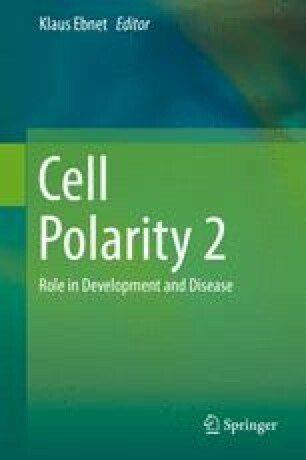 Polarized physiological processes mediate the mechanical interactions between epithelial cells and their environment. Polarity within actin cytoskeleton generates contractile forces generating morphogenetic movements. Secretion of fluid or matrix into the lumen generates outward forces driving lumen opening and expansion. Thus, cell polarity is crucial for vectorial transport processes and structural asymmetries during lumen formation. Here we focus on recent discoveries illuminating the relationship between lumen formation and cell polarity in vivo.